Job Losses And The Carbon Tax: Reality Or Not? From the moment that the carbon tax was first announced there has been a lot of debate whether or not this tax would accomplish it’s goal and more importantly would it lead to job losses across Australia. With those that oppose the carbon tax, warning people that their jobs are in jeopardy due to the carbon tax and the Australian Government assuring people that there will actually be more jobs not less, however, the reality maybe somewhere between these two fractions. No one knows for sure what effect the carbon tax may have on job loss. With prices of electric, gas, and even products bound to increase as the carbon tax is passed down to ordinary consumers adversely effecting these consumers purchasing power retailers and other businesses may well see a sharp decline in sale and be forced to lay people off work in order to continue to stay in business and make a profit. On the other hand if the carbon tax works like the Government hopes, there will be an increase of jobs in the green sector as more and more businesses scramble to reduce their carbon footprint and lower the amount of carbon tax they will be expected to pay. Which may well balance everything out. While this may be bad news to those who may lose their jobs, and good news to those who may find good employment in the field of green technology it is difficult to tell which way things will actually go. 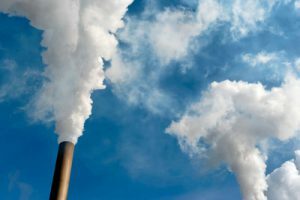 Since those businesses which are the worse polluters will have the opportunity to pass the carbon tax down through the supply chain they may not feel any real incentive to change the way they do business. If these businesses decide not to make any effort to reduce their carbon footprint then chances are there aren’t going to be any new jobs opening in the green technology field. At least not right away. Which could be bad news for the Australian economy. On the other hand if these big companies do take themselves to task and make a real effort to reduce those carbon emissions then jobs will be more likely to be gained than lost. As of right now it is a waiting game with everyone holding their breaths until July when the carbon tax goes into effect and they can get some idea how the carbon tax is going to play out among these big businesses. Like any other tax or law no one will truly know what effect the carbon tax will have on the Australian economy until it has actually been in effect for a while. In the meantime, all anyone in Australia can do is wait and hope that carbon tax does good than harm.